Serve quality, warm fudge and other toppings with this warmer from Server Products. 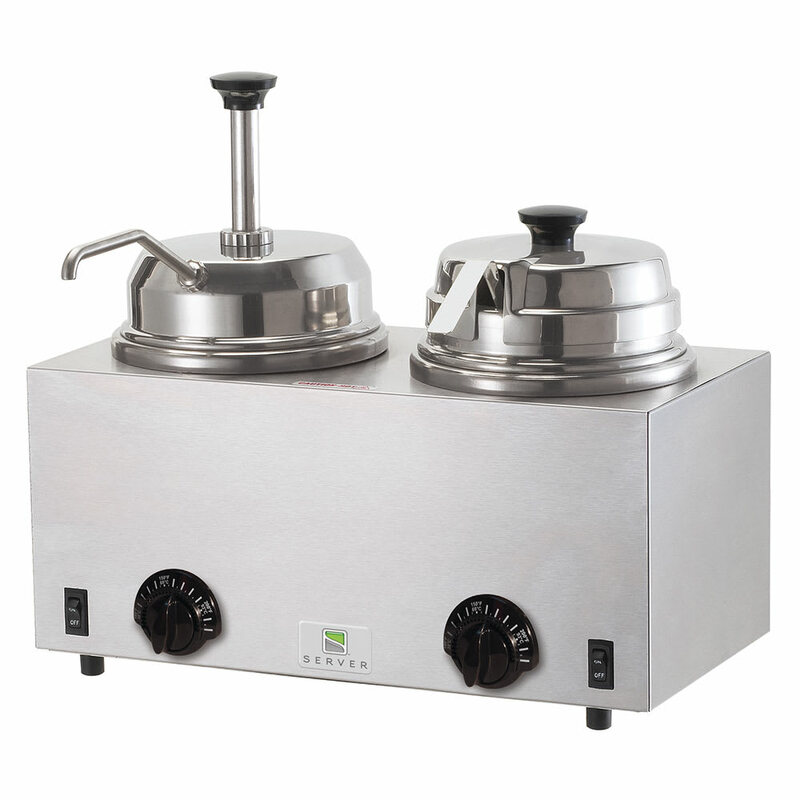 With one side suitable for pumping and the other suitable for ladling, this warmer will provide the right amount of toppings for a variety of applications like toppings for sundaes, caramel dip for apples, and cheese for nachos. This fudge server’s stainless steel construction makes it rugged and easy to clean. Twin Fudge Server, with pump and ladle, stainless steel construction, separate thermostatically controlled wells, pump / ladle direct from #10 cans or 003-94009 stainless steel jars, 120 V, 1000 watts, NSF, UL.